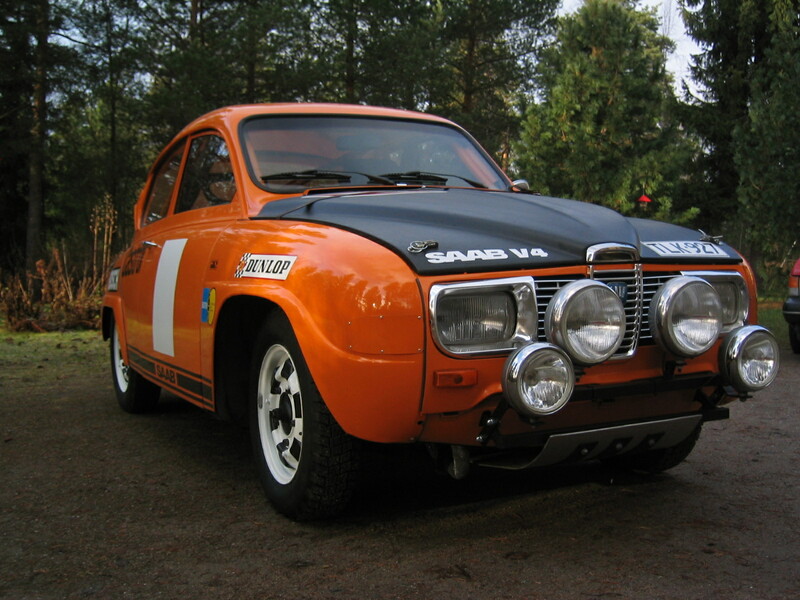 To see some images of other vehicles using power from SAAB engines, click here. 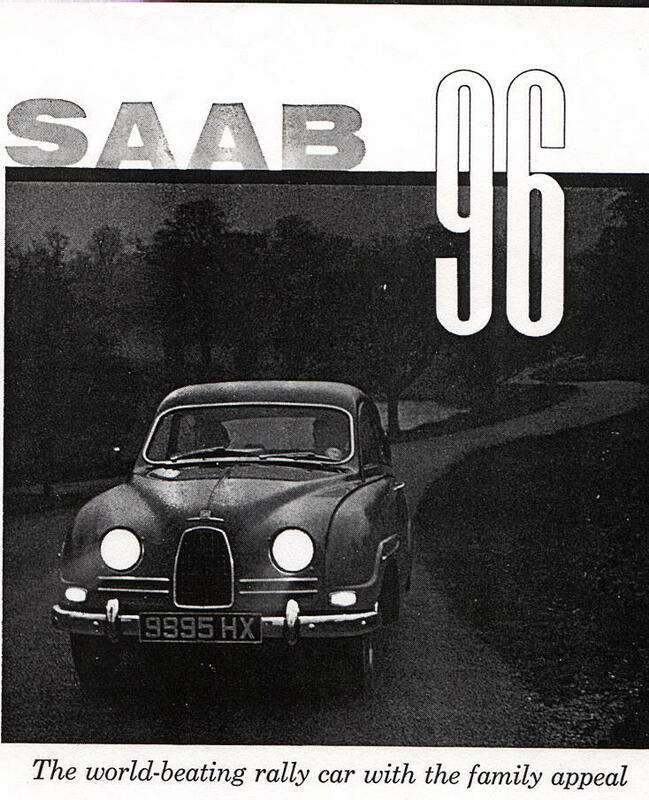 Feel free to send in your images if you have an interesting vintage SAAB photograph! NOTE: Click on the thumbnails to show the full-size images! Bruce Turk sent in this shot of a recent addition to his fleet, a Monte Carlo lovingly named "Frankinstroker"! 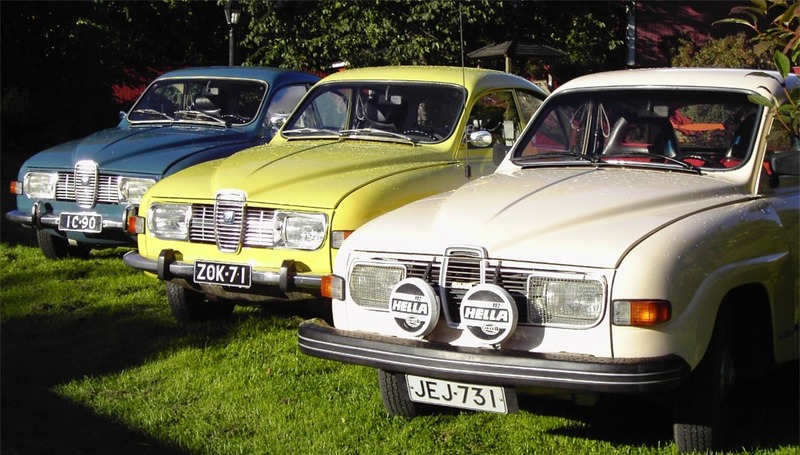 Carl-Eirik Nikander from Finland sent in this shot of his stupendous collection of 96s. Eirik writes: "I enclose a picture of my 3 96’s. 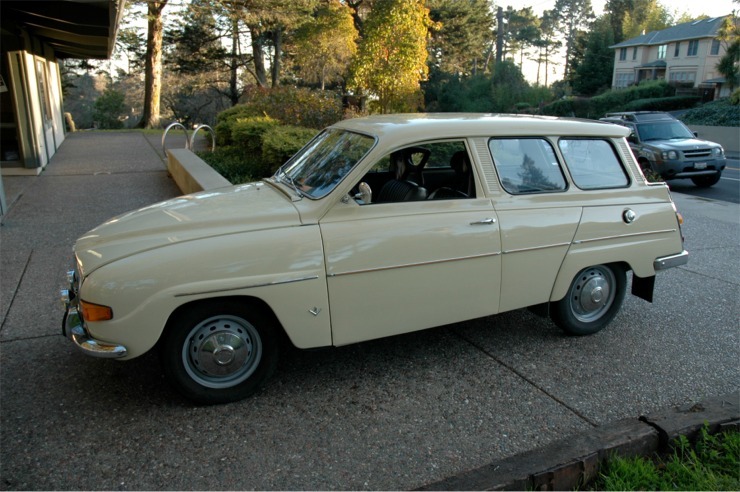 The number four a 96 2-stroker ’64 is due to be sandblasted in a week’s time and my youngest acquisition a 95 ‘75B is away from home where it will get a 1800cc slightly trimmed engine." 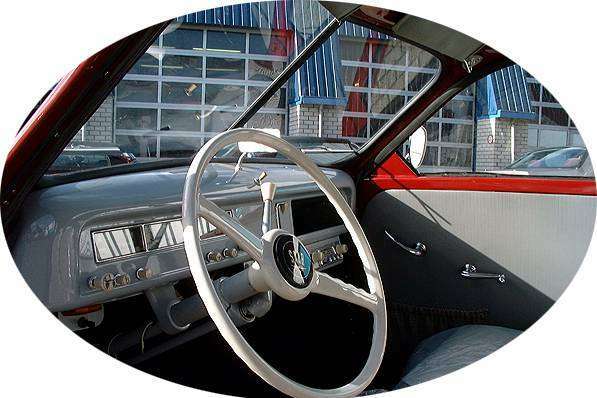 Ian Lainton owns this one-of-a-kind RHD 1962 panel van. 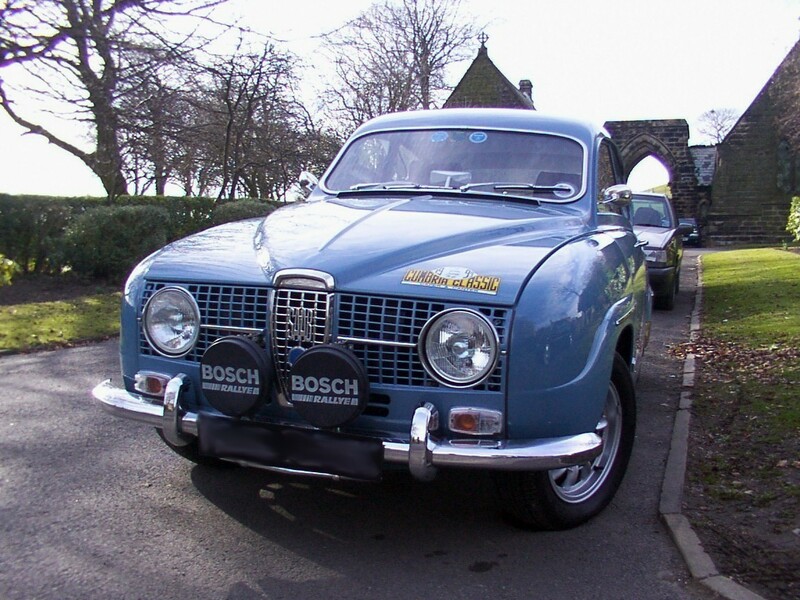 Ian believes that it was originally owned by SAAB G.B. 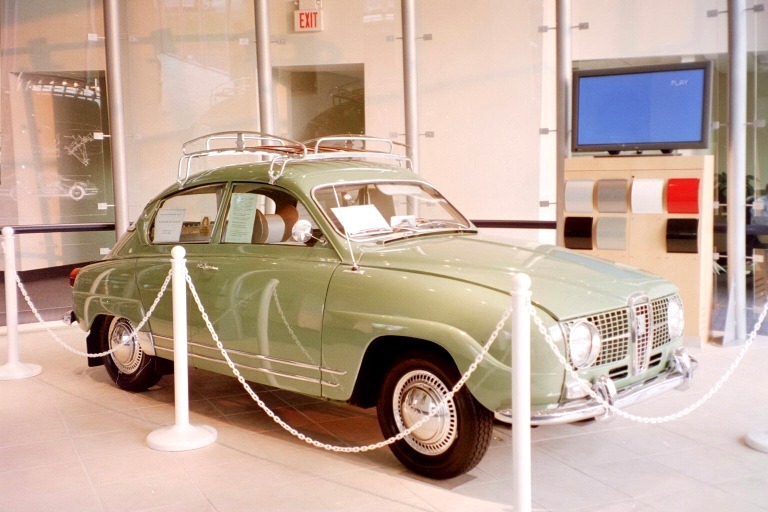 On his recent trip to Sweden, staffers at the SAAB Museum mentioned that they had never seen one before. 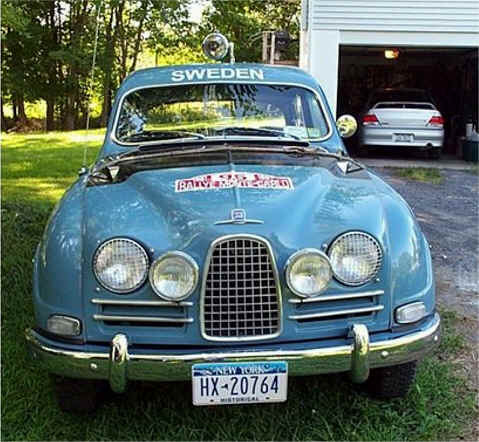 Apparently they were only built for the Danish market. 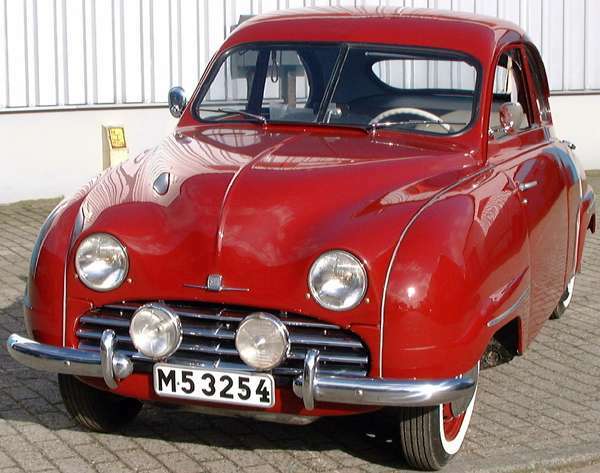 The reason why it is right-hand drive is a mystery, though it has been suggested that it may have seen service with the Danish Post Office! "I'll admit that this particular image arose out of my somewhat warped sense of humour. 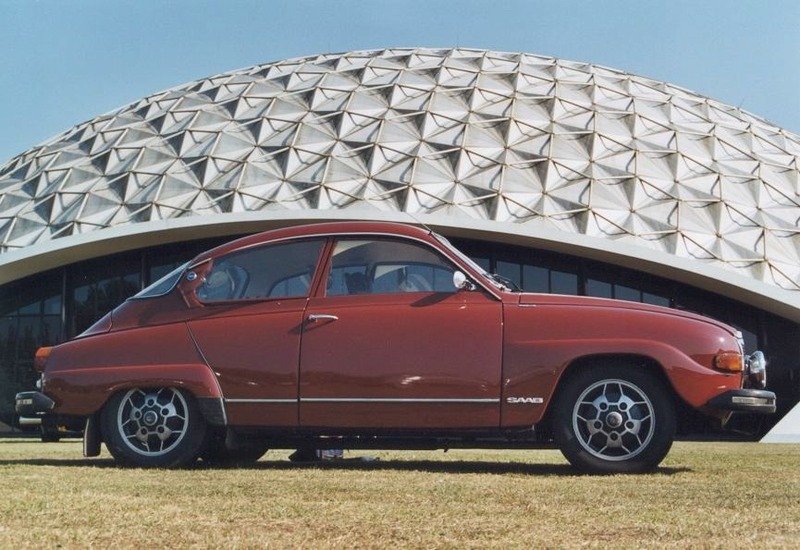 However, I did see the potential in the Saab's clean lines and stance to transform it from it's practical, efficient (and somewhat ahead of it's time) design to something totally out of character...it's a lark and I enjoy it immensely so if any of the members of the club want their cars altered, I'd be most happy to give it a try." 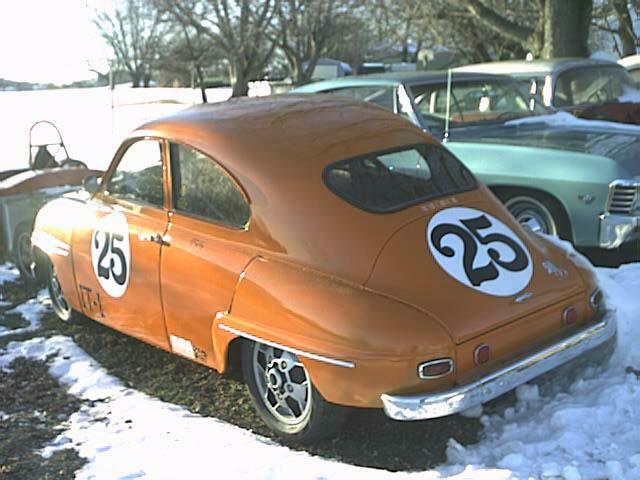 VSAAB subscriber Chuck Christ sent in some photos of his gorgeous 93F racer. 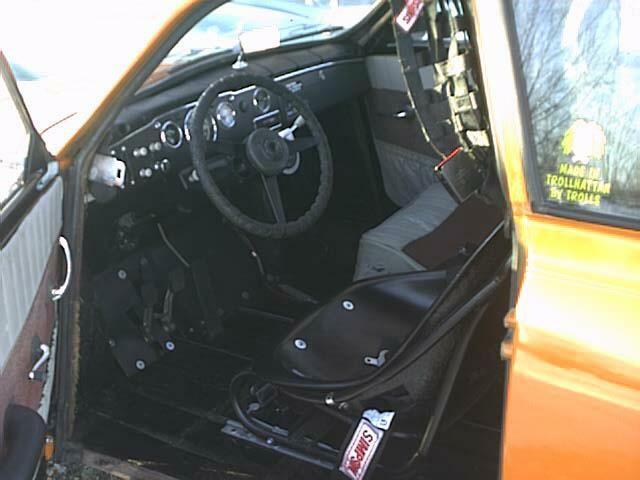 VSAAB subscriber Mike "saabdude" Szostkiewicz sent in these photos of a Sonett V4 with some (ahem) modifications. VSAAB subscriber Steve Raker says, "This is a photo of me with my son's new puppy, a wonderful English Cocker Spaniel. 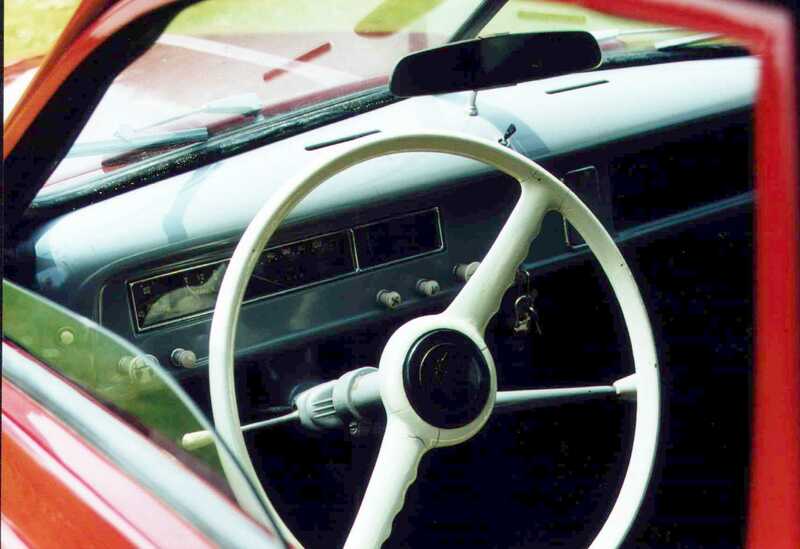 The car is a 1972 95. 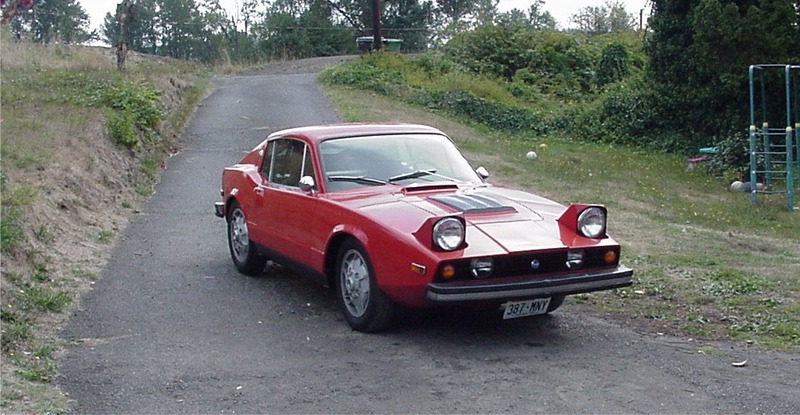 My other SAAB (under construction) is a 1972 96. I live just west of Toledo, Ohio in a small town (Delta) surrounded by farms -- corn, soybeans mostly. Around here old SAABs are scarce as hen's teeth. 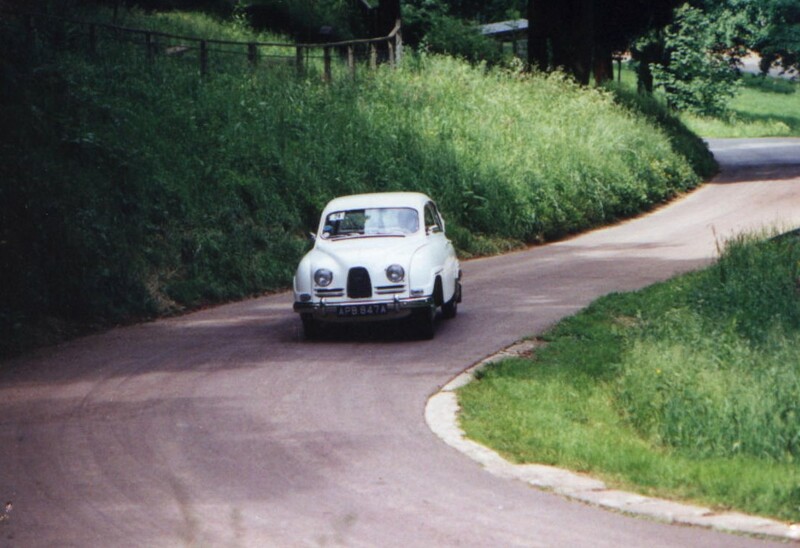 VSAAB subscriber Richard Clark from Oxfordshire, England writes: I haven't got a picture of me but have attached a sequence of shots of my shortnose at Prescott Hillclimb in Gloucestershire. 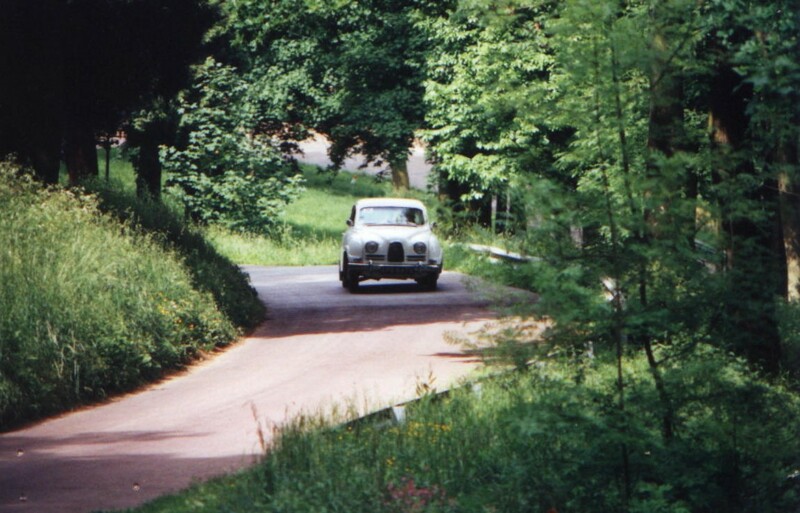 (Perhaps it was thrashing the old girl up hill that started the death rattle that is now subject to the "engine rebuild advice" mail I previously sent. VSAAB subscriber James Glass sent in this shot of himself (the male down in front?) 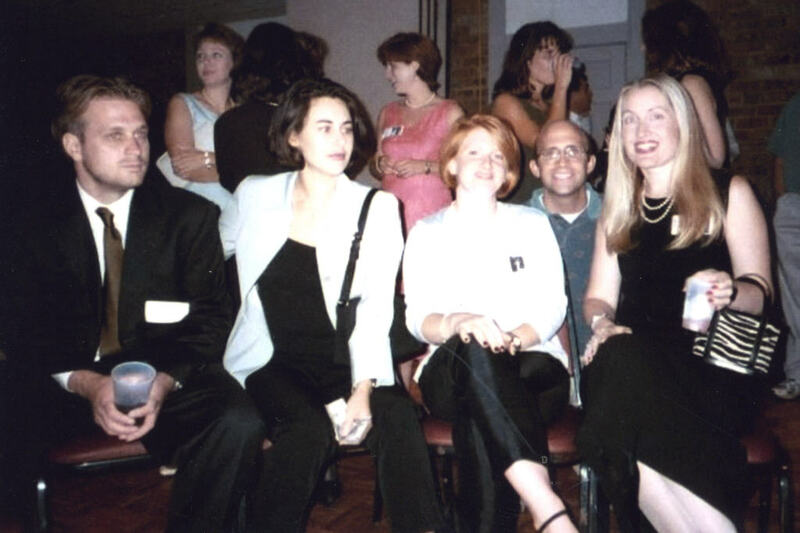 and his fellow revelers. 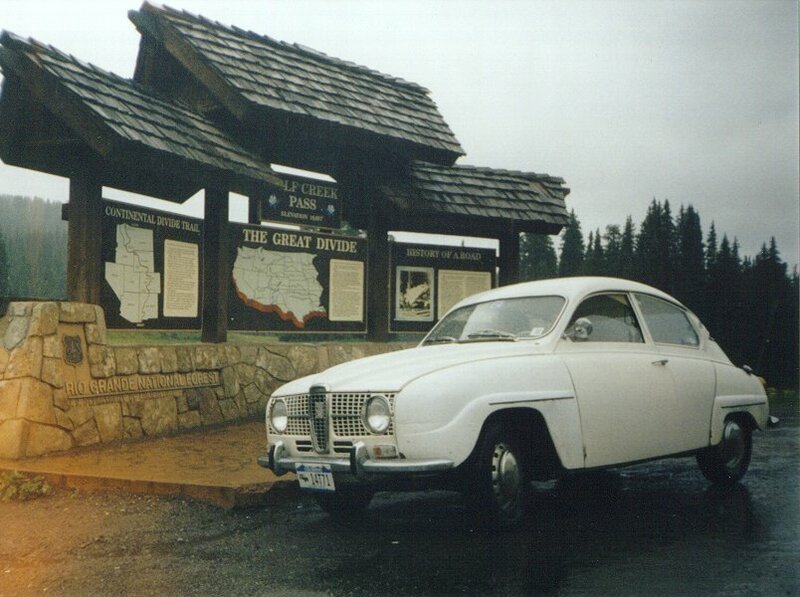 VSAAB subscriber Bob "saabbob" McNary sent in this shot of himself alongside his very nice (and exceptionally rare!) 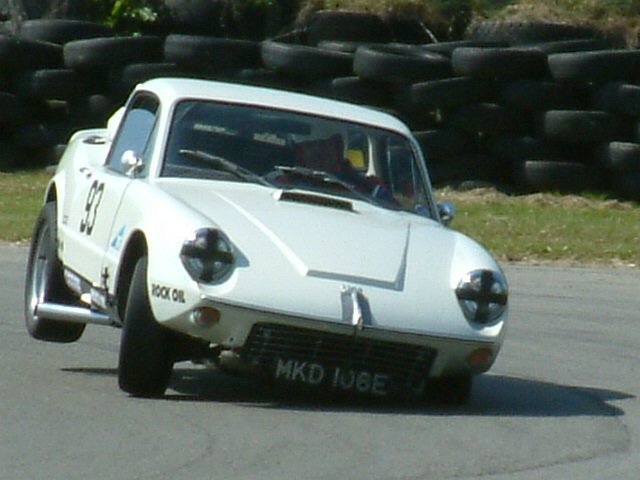 two-stroke Sonett II, #171. It must look great parked next to his '60 GT750 and '67 96MC! 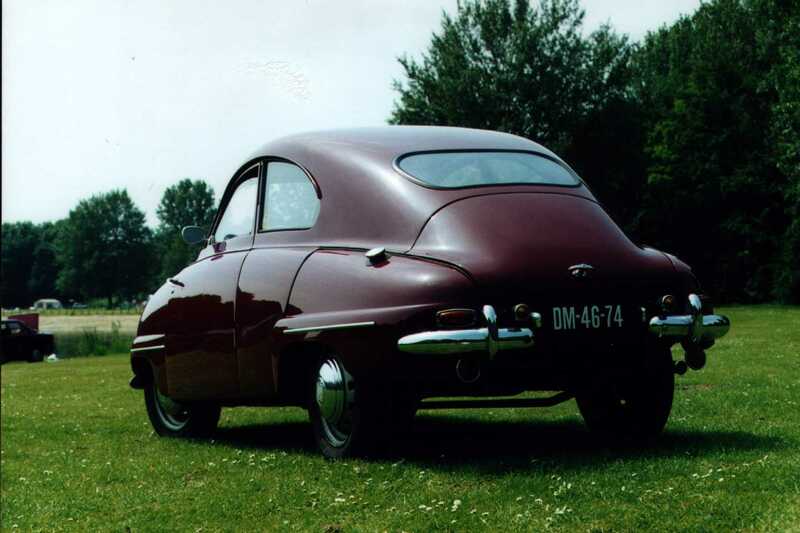 Peter Crum, a web designer in the Netherlands took some photos of this remarkable 1955 SAAB 92 for his client IJdorff, a SAAB specialist in Leusden, Holland. Peter thought we might like to see them. Yah! 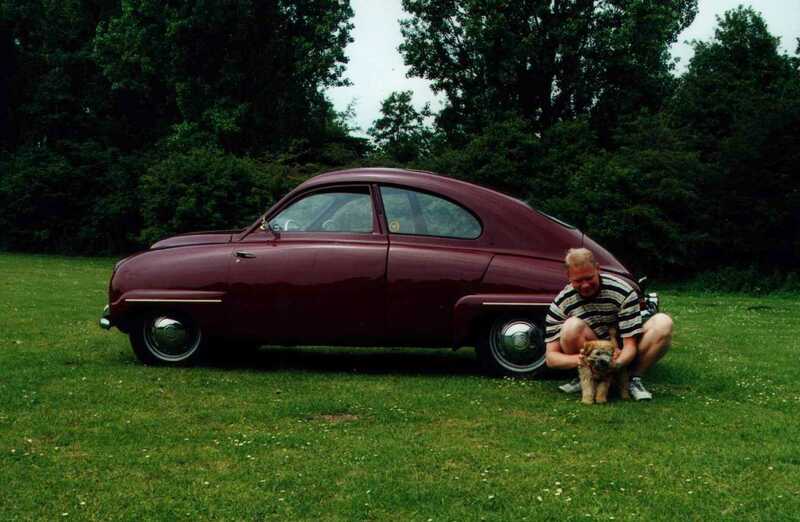 VSAAB subscriber Martin Hilvers sent in this photo of himself with his '78 SAAB 95. 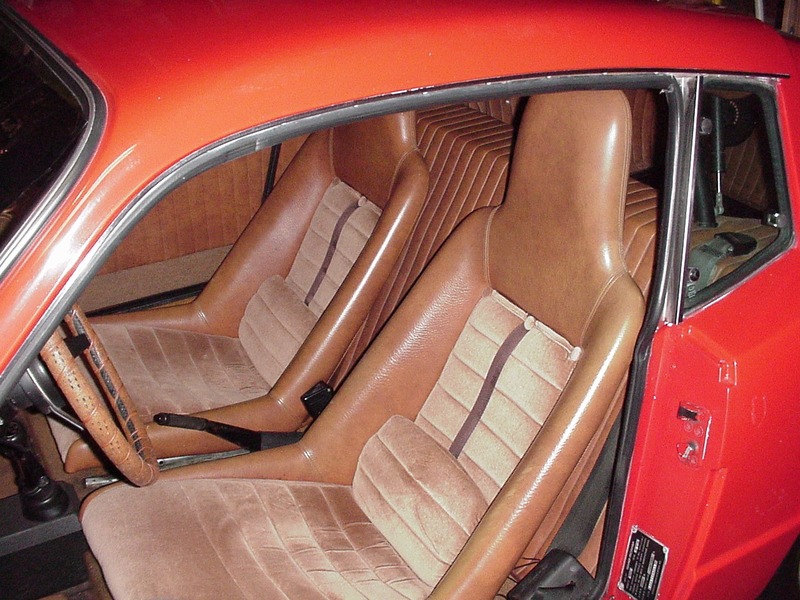 VSAAB subscriber Oren Kipnis sent in some photos of himself and his 1975 SAAB 99LE. 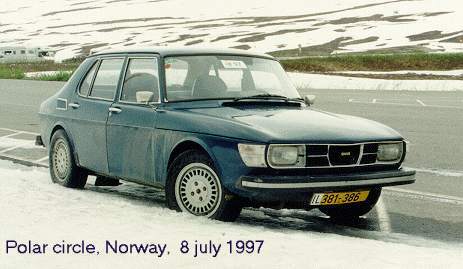 These were shot during the Northern Lights Challenge that took place in Norway and Sweden in 1997. One of the photos shows the legendary Eric Carlsson with Oren a few minutes before the start of the NLC in Oslo. 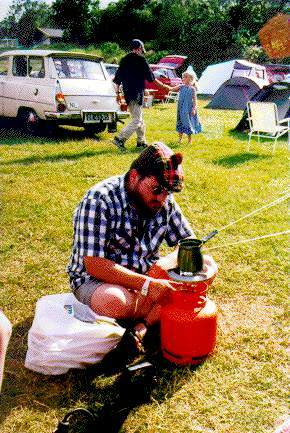 Another shows him boiling coffee in his camp site and the other two show the 99, one taken while parked at The Polar Circle. 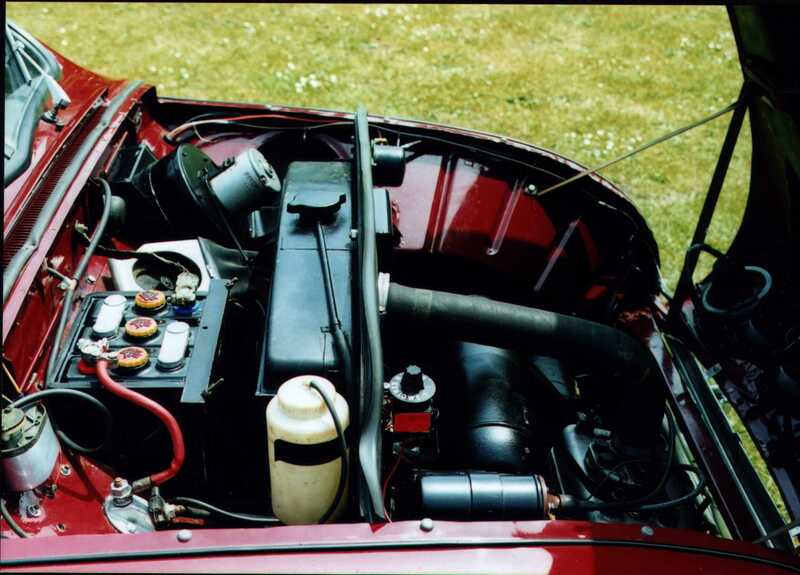 VSAAB subscriber Matt Scheidt submitted two shots of his beautiful 1959 SAAB 93B and one picture of Matt working on his friend Robin's 1969 96 DeLuxe. 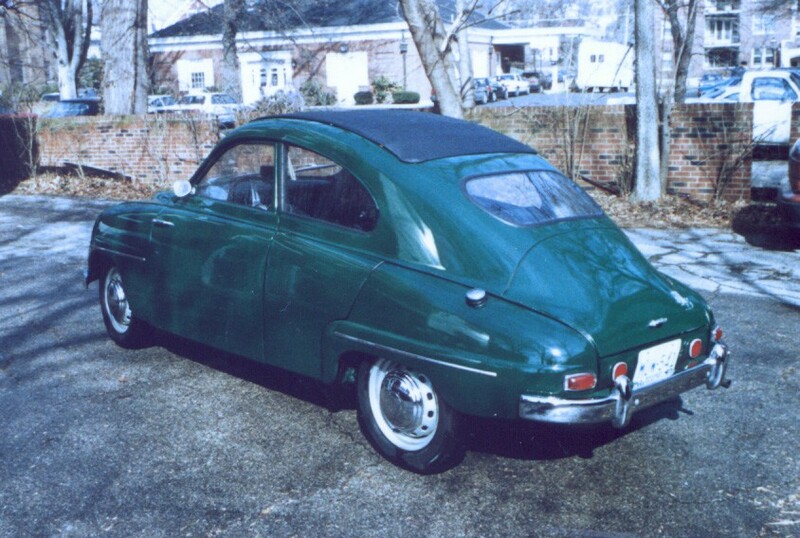 UK VSAAB subscriber Richard Clark sent in a number of photos. 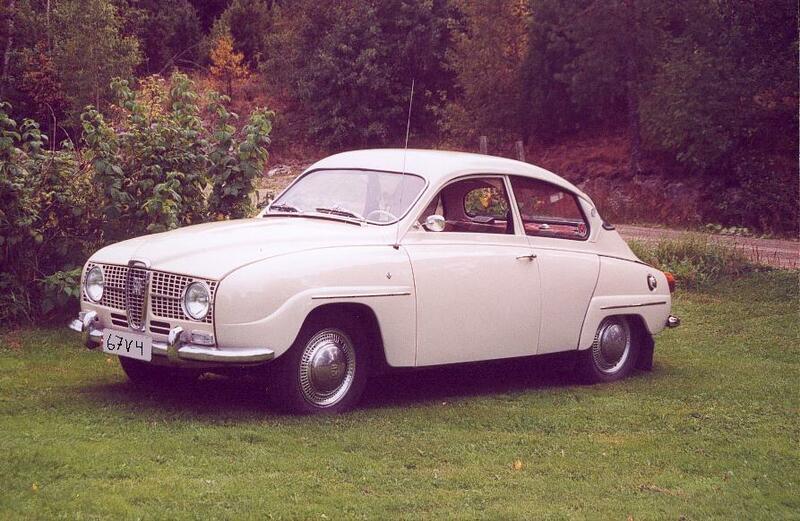 Richard's father was involved with SAAB in the 1960's and helped to introduce the SAAB 96 to the UK in 1961-62. Some of the images are promo shots taken at that time. 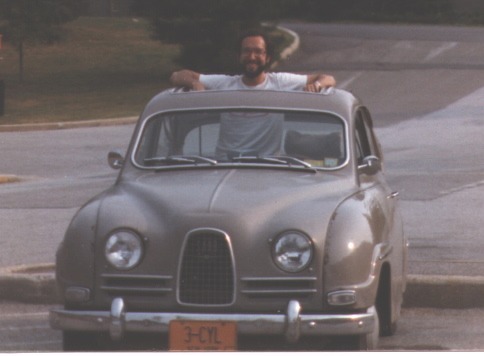 VSAAB Subscriber Larry Noertker sent in a photo of himself with his 1974 Sonett. 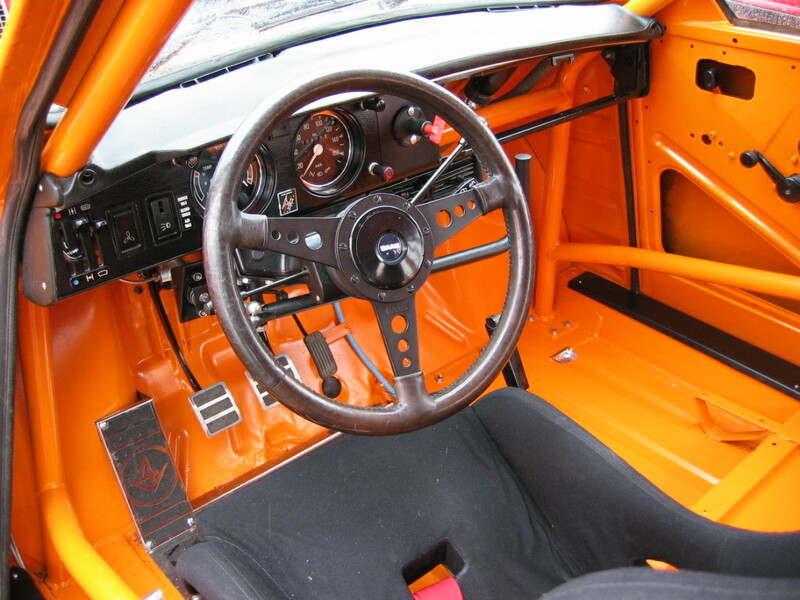 Larry bought the car in 2000 from the original owner. 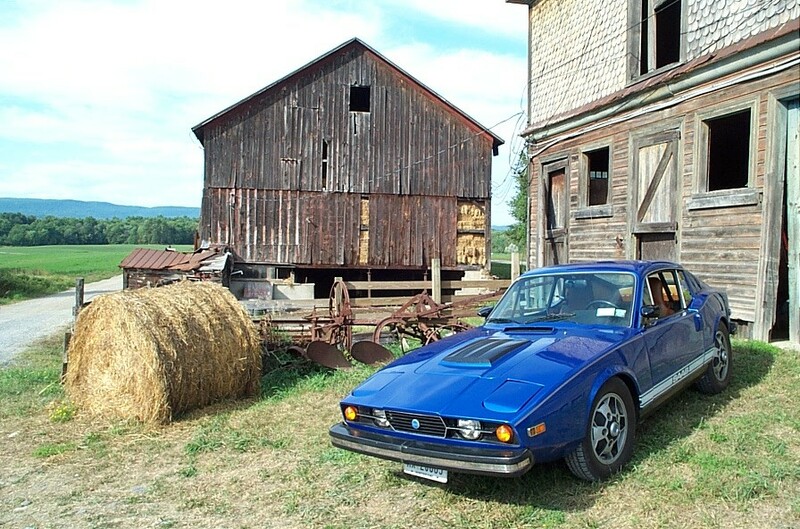 He's wanted a Sonett since 1971 and finally bought one as a retirement present to himself! 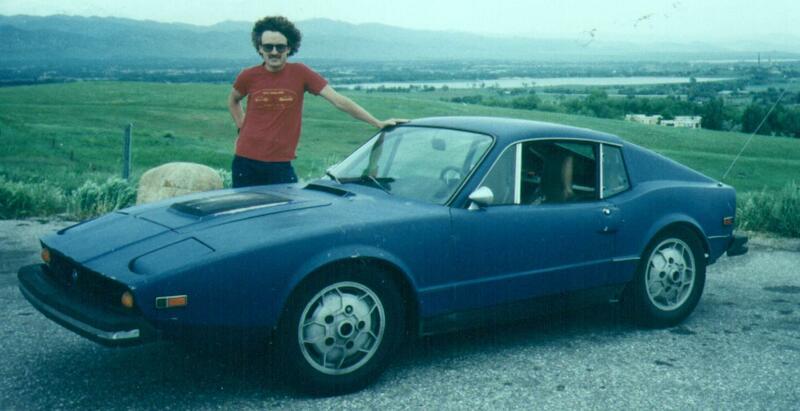 VSAAB Subscriber Jean-Joseph Cote of Lunenburg, Massachusetts contributed this photo of himself with his 1973 Sonett III, taken in Boulder, Colorado in 1995. 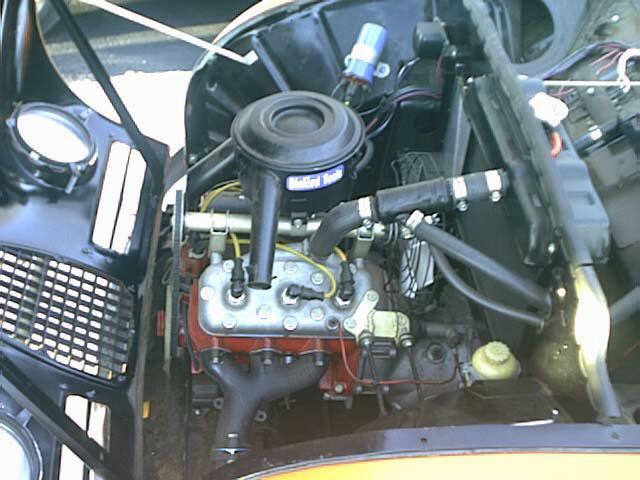 VSAAB Subscriber Tom Tschappler sent in some pics of his 1967 96 2-stroke. 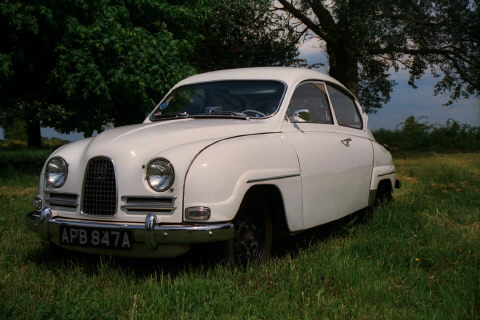 Tom says the car is in what he likes to call "normal" condition, although he notes that some UK enthusiasts at the Keystone convention preferred the term, "tatty". 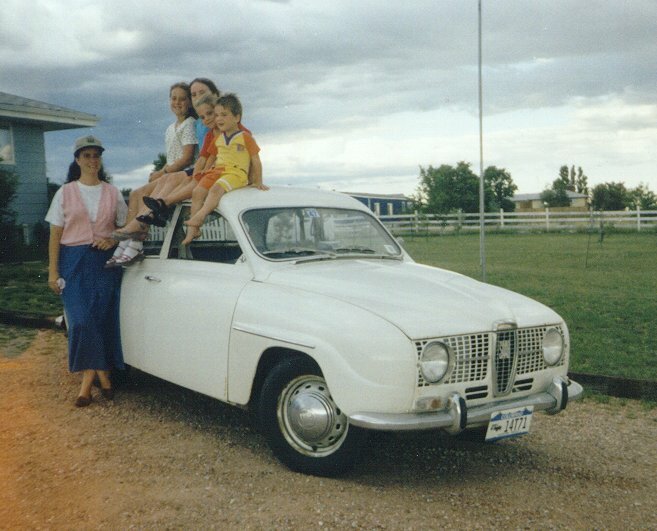 b) At the top of Wolf Creek Pass in Colorado (coming home early from the "Ride the Rockies" drive the week before the 1999 Saab Convention in Keystone). 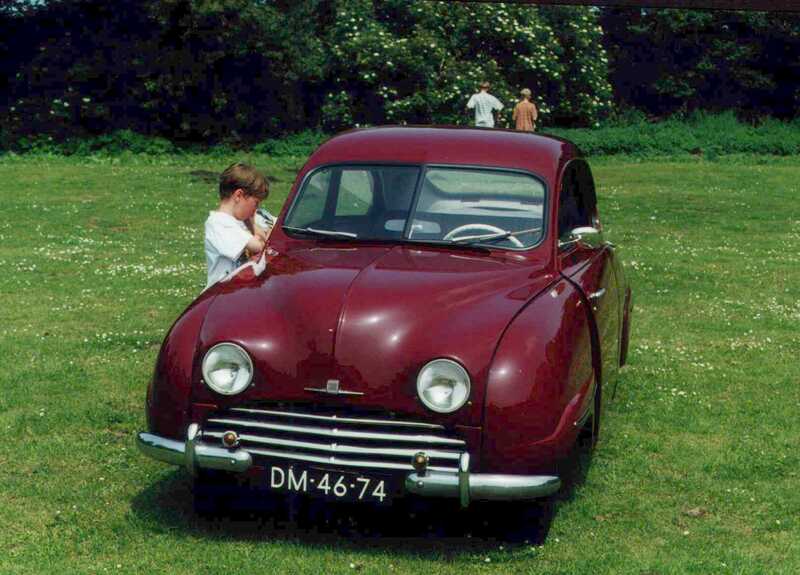 c) Tom and his car along with VSAAB Subscriber Paul Perry, his wife and their beautiful 93. 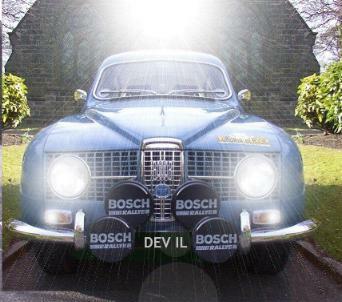 Harry Colenbrander from Holland sent this very cool shot of his 1976 SAAB 96. 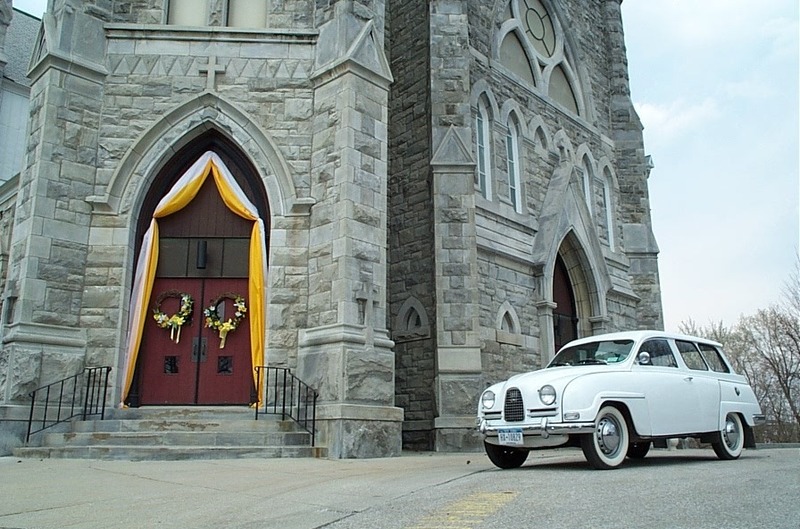 VSAAB subscriber Mike "saabdude" Szostkiewicz contributed this .AVI video clip of a 96 in a starring role. It's a relatively large file, even ZIPped (1.3MB) but worth the download time -- even over a dialup connection! Click the thumbnail to download the ZIP file. VSAAB subscriber and editor of NEWS (North East Writings on Saab) Seth Benglesdorf sent in this shot of himself in one of the good ones that got away. 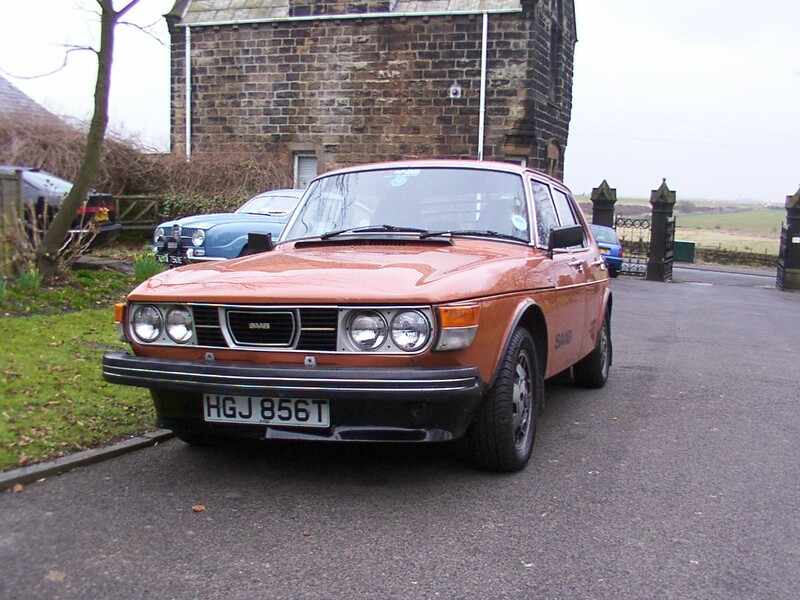 Ian Carlyle, a Saab mechanic/fellow fanatic in Leeds, England contributed these images of his steeds, a 1967 SAAB 96 and 1978 SAAB 99. 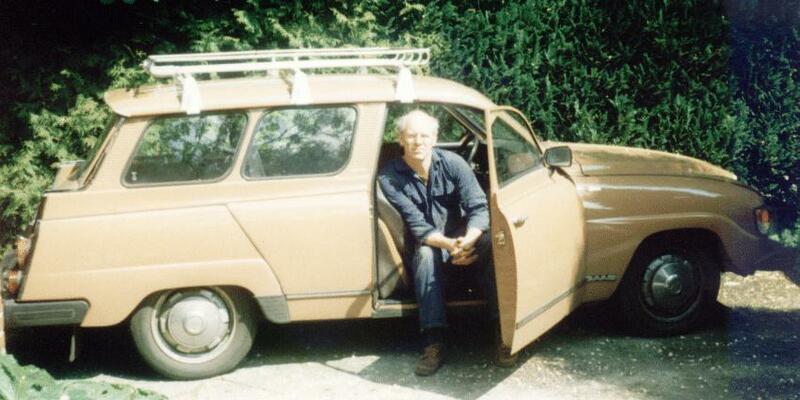 Ian tells the story of how he acquired his 96 in 1996, with only 39K miles. Apparently, the car had been sitting in a garage for 10 years. 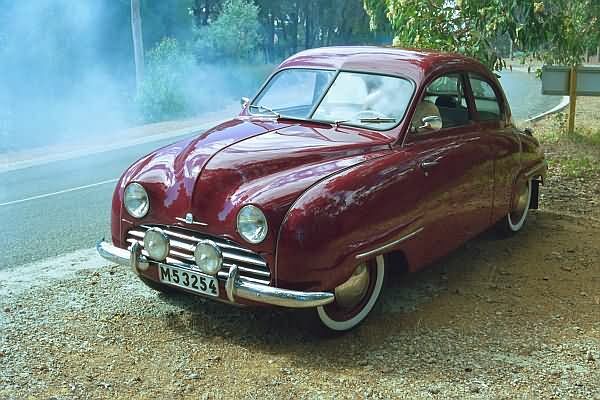 On the same day he brought the car home, he submitted it for an MOT test and to his disbelief, the car passed the test! 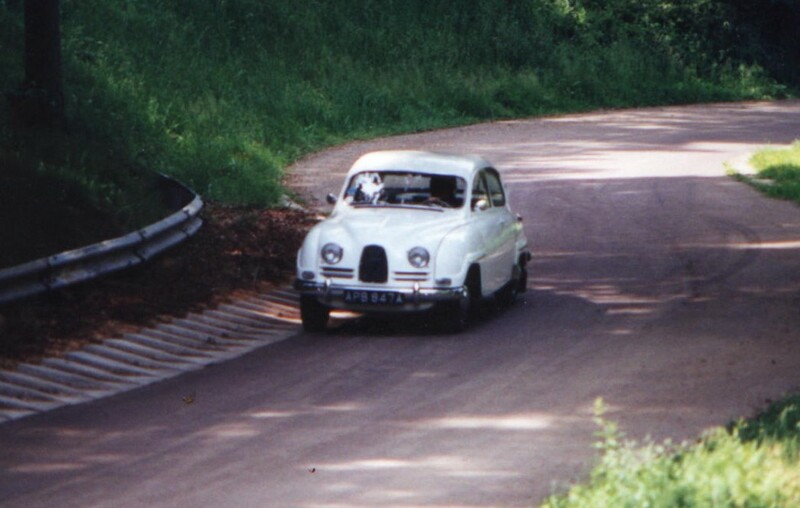 Ian also drove the car to Trollhättan in 1997 for the big celebration and took her around the test track for a few laps. He even got stuck in a 96 traffic jam for an hour on his way out! About the third photo, Ian writes: "I've been messing on the computer with my 96 pics, this is what i came up with, thought u might like to see it." Nice work! This stunning portrait of Bruce Turk's 93B is a must-have if you're into desktop wallpaper! Bill Strangfeld and his daughter Robin have sent in a great chase sequence between Robin's 96 and her 900 convertible -- all while cruising through the Blue Ridge Mountains. I've arranged them into a slide show; click the thumbnail to start 'er up! Denny Zamler sent in this shot of his stupendous 1967 Monte Carlo 850, suitably ensconced in a glass case at his local SAAB dealer. 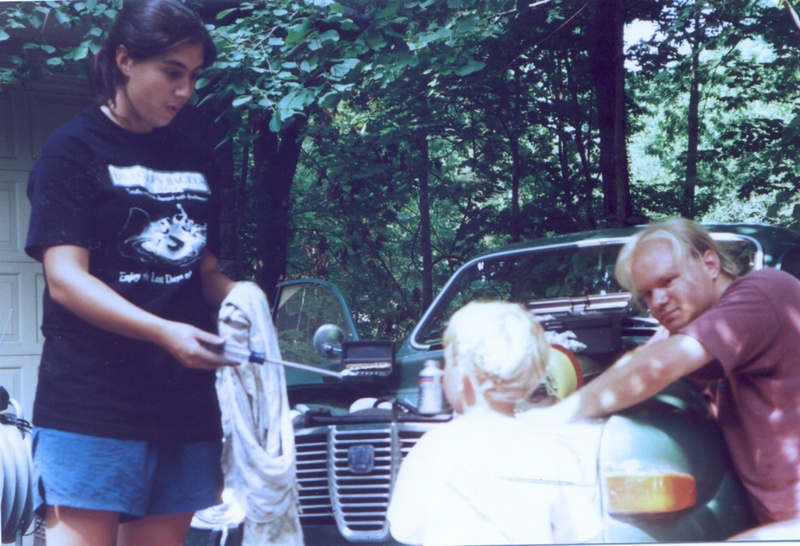 Steve Raker had some unexpected help arrive while working on his V4. Steve reports, "I was working on my 1972 95 this afternoon when in flew a helper. He advised me to feather everything. Later, my cats convinced him to leave. I was sorry to see him go." 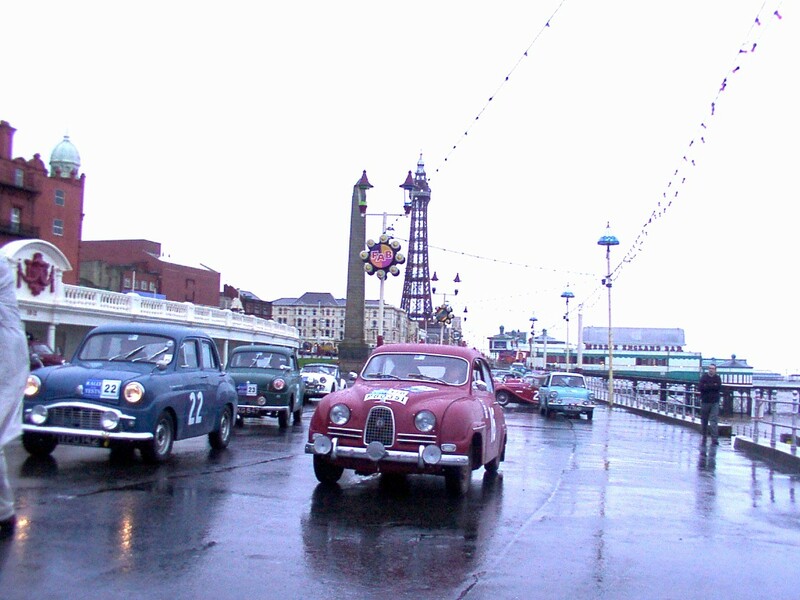 David Fielden has sent in the first shots of the 1960 RAC rally car, #178 as it begins its tour through England and presumably on throughout Europe and Scandinavia. 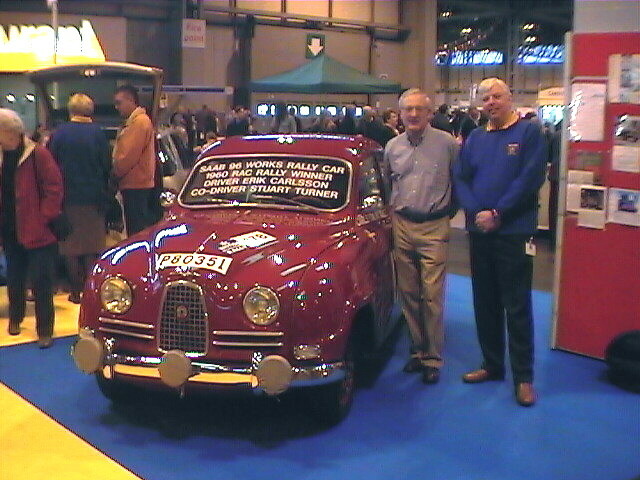 These were taken at the International Classic Car Show in Birmingham, England in November 2001. David writes, "The guy in the blue top is SOC GB Chairman Mike Philpott...............next to him is EC's nav. 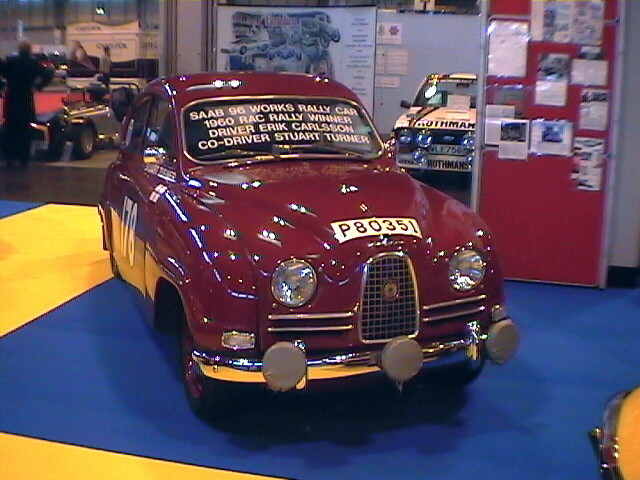 on the '60 RAC Rally, none other than ex-chief of BMC Motorsport and ex-head of Ford Motorsport, Stuart Turner! 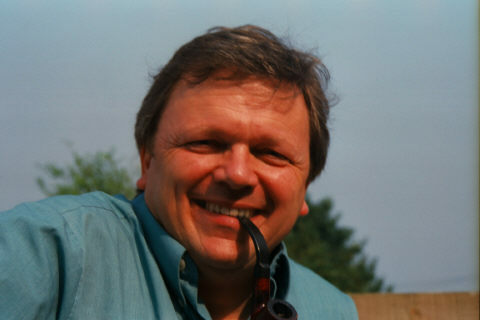 ...more to follow, including Rally of the Tests reports and pics (*IF* we are ever apprised of the route!!)" 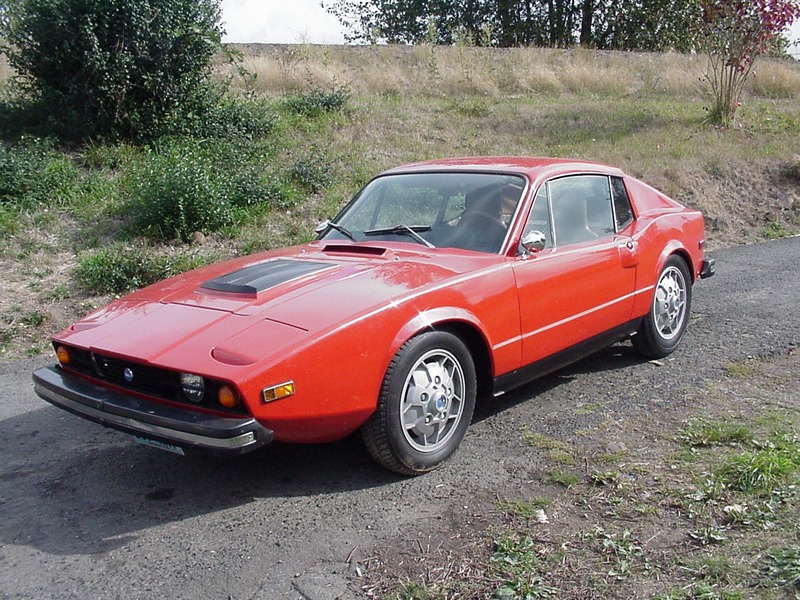 Craig Brock has a very clean, original '73 Sonett III in great condition with only 68K! 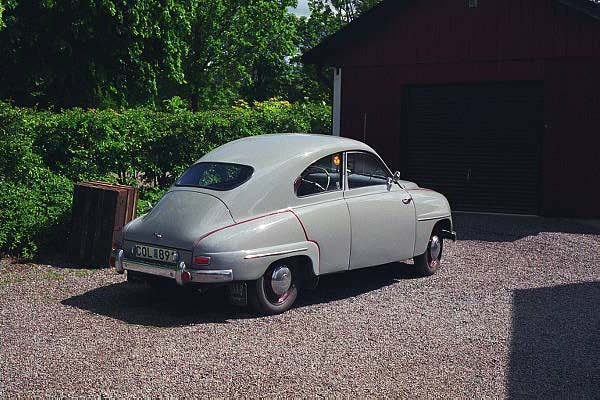 He writes "I have only owed the SAAB for 2 months and enjoy it very much." This one came in from Bruce Billing of Cape Neddick, Maine. 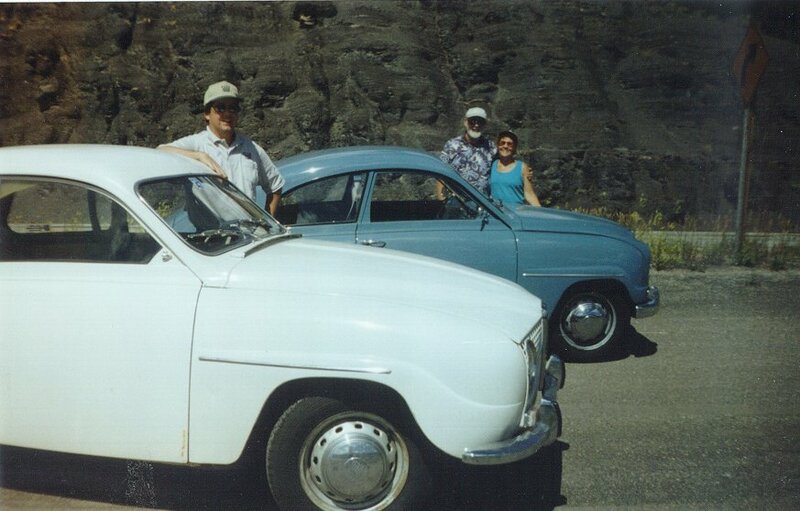 Bruce writes, "Here is a photo from the '97 convention of my family's cars. From left to right, my '69 Sonett, parent's formula S, '52 92, '59 93B, '73 96, '74 Sonett, my '66 95, and Aunt's '86 900 convertible. It's the only time we have had them all in one place at one time." 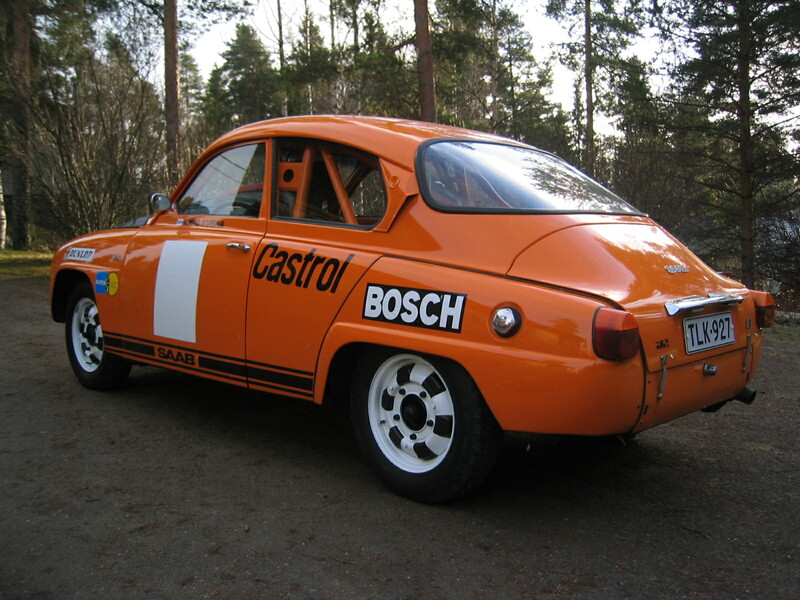 Knut Vognstølen sent in this photo of his 1967 SAAB 96 V4 daily driver. 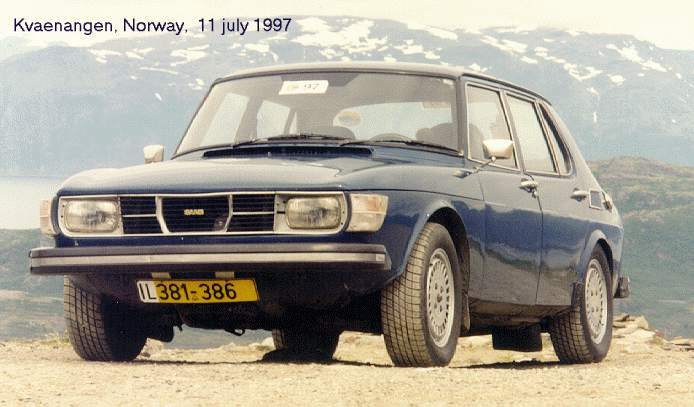 Knut says that the car has been on the road since October 1966 and he's only the second owner! Someone sent in these photos of a restored 92. 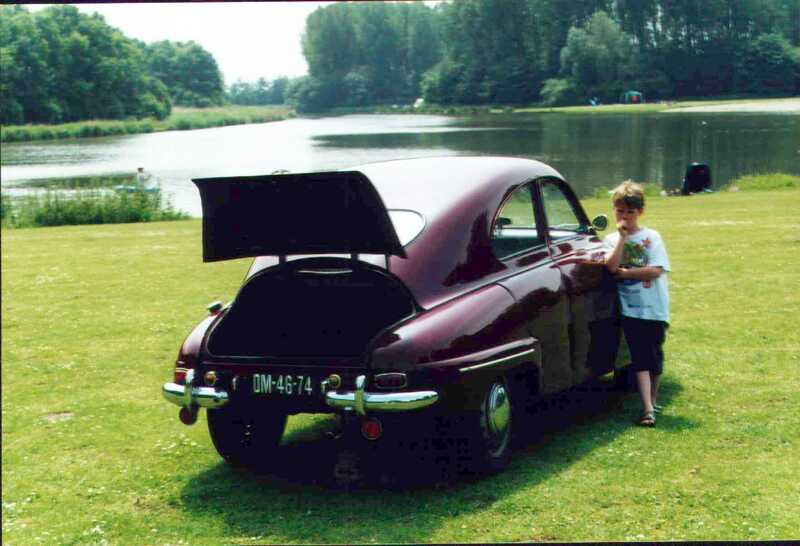 For awhile, we thought this was Theo Braakman's car, but now we're not so sure! Is it yours?? Let me know! 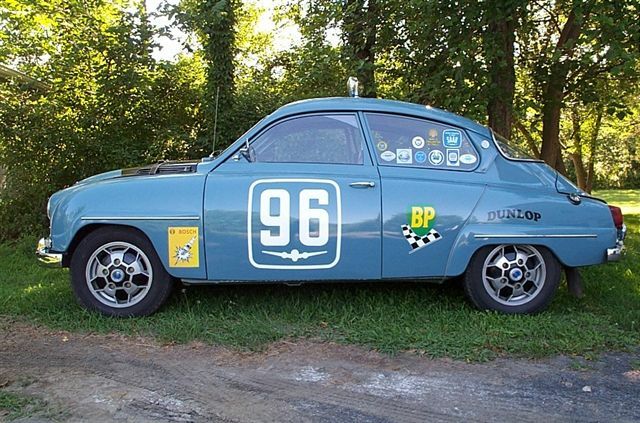 Once again, Bruce Turk has taken a car many of us would have given up on and has brought it back to better-than-new status! Click the image to check out the Puttyus Pictures Page. 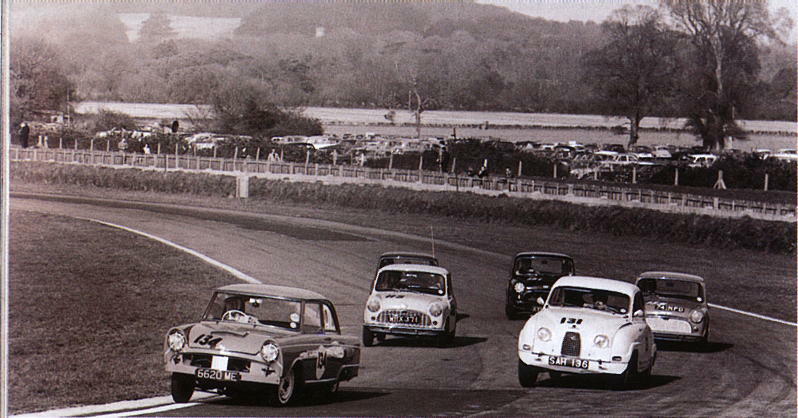 Ian Carlyle submitted this shot of the start of the 2001 Rally of the Tests. 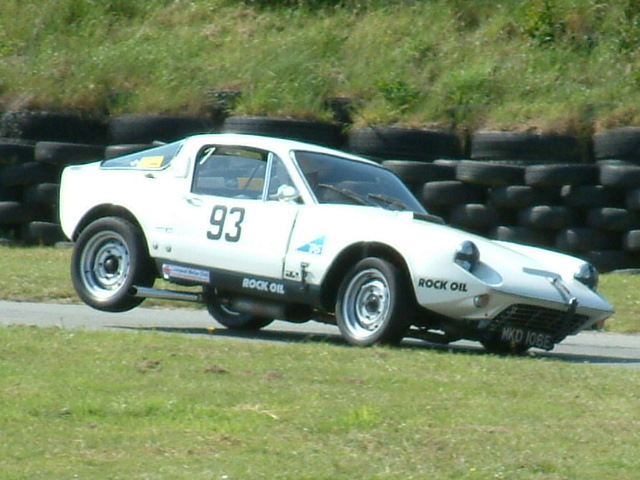 Dave Barrow contributed these photos of his Sonett running at the Anglesey Race Circuit in Wales. Stand on 'em! 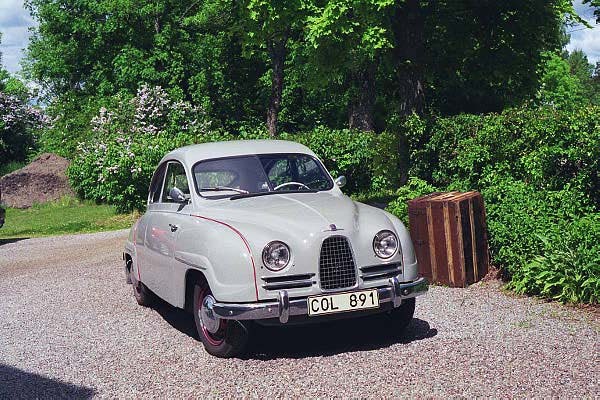 Lars Wiström from Sweden submitted these photos of his very nice 93B. Henk Ossendrijver sent in these images of his gorgeous 92 from Perth, Australia. 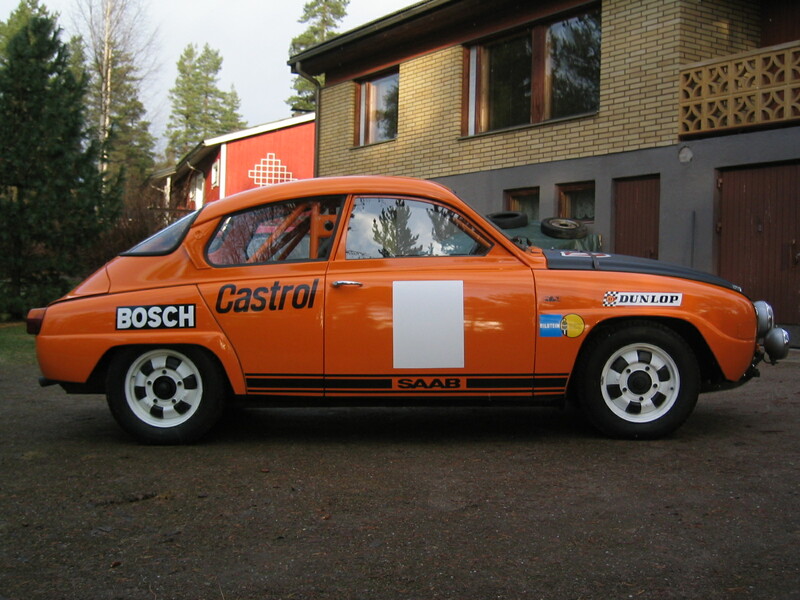 From Finland, Kimmo Kuisma sent some photos of his 1977 96 that he's completely redone to look like an official Saab factory rallycross car from the 70´s. 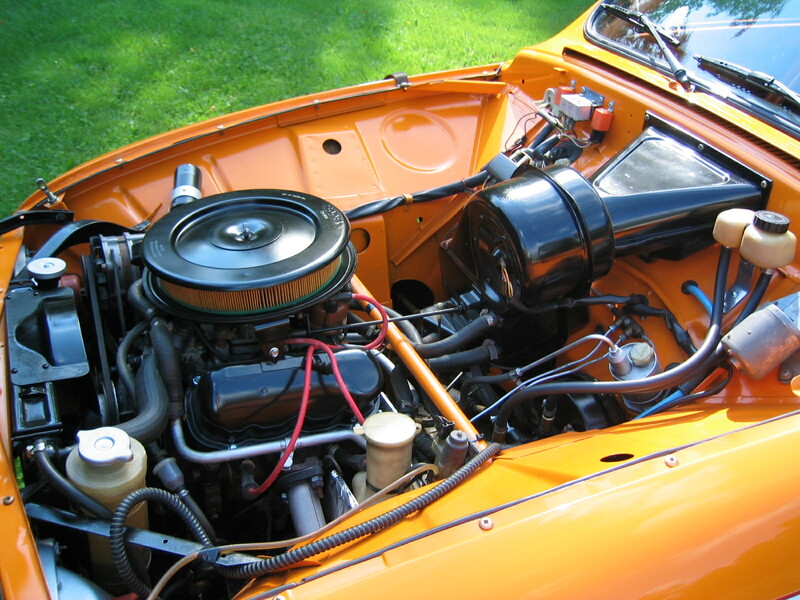 The engine has bigger valves, a 7.6 camshaft and a Solex 2bbl carburetor. 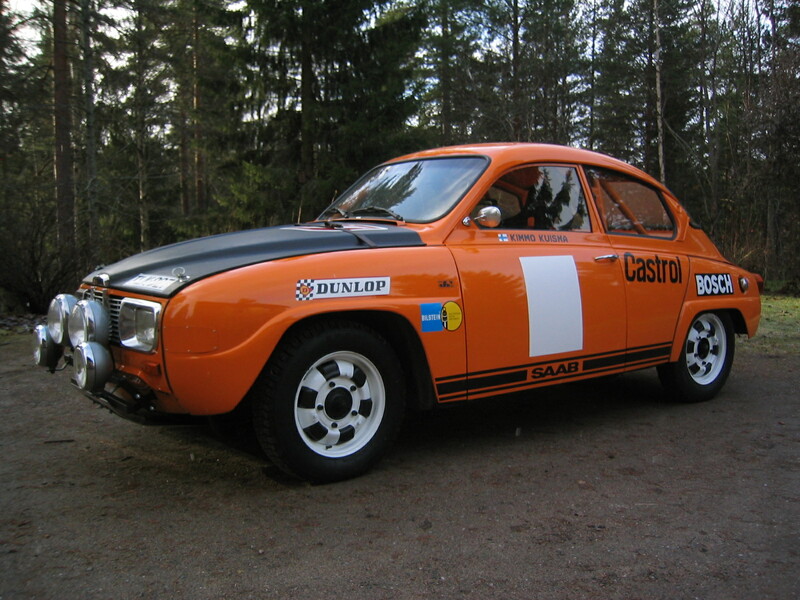 Kimmo has also built his own custom exhaust for the car and adds a set of Cibie Oscar driving lights for the winter. Beautiful work Kimmo! For modem users, the images are large (500K+) but well worth it! Bud Clark sent this shot of his "weekend therapy group" of Sonett owners, stopped at Newcome's Ranch off the Angeles Crest Highway in southern California. These guys reportedly terrorize the locals on the twisty mountain roads every weekend they can. Left-to-right: silver 1967, green 1969, orange 1973, green 1971, bronze 1968 and blue 1970. 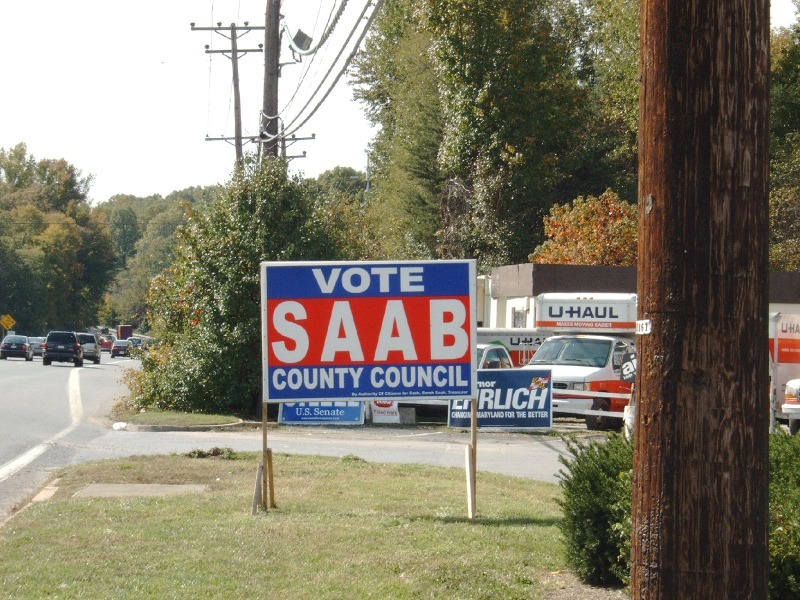 Don Levesque sent two shots of his award-winning SAABs. 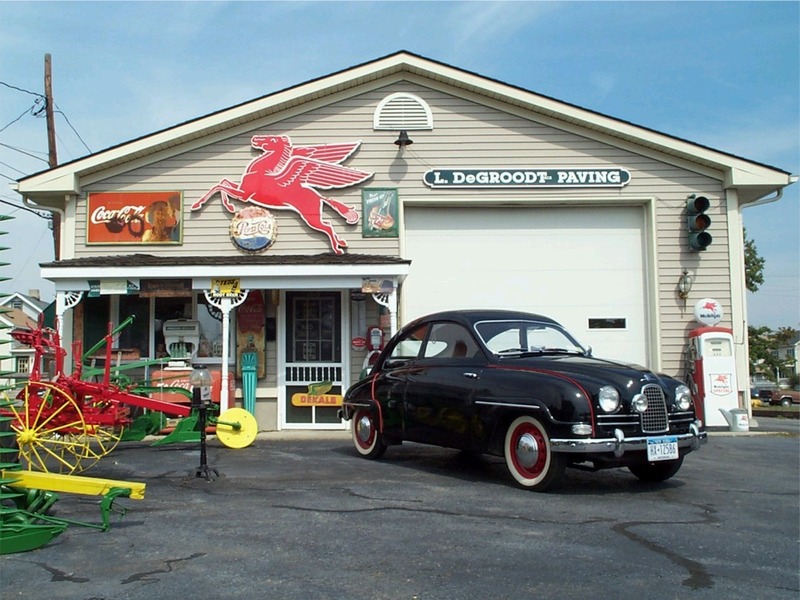 He relates that the '63 won the 2nd place trophy in the foreign car division in August 2006 at the Kiwanis auto show in Concord, NH. His '65 Monte Carlo gets driven daily in Florida. 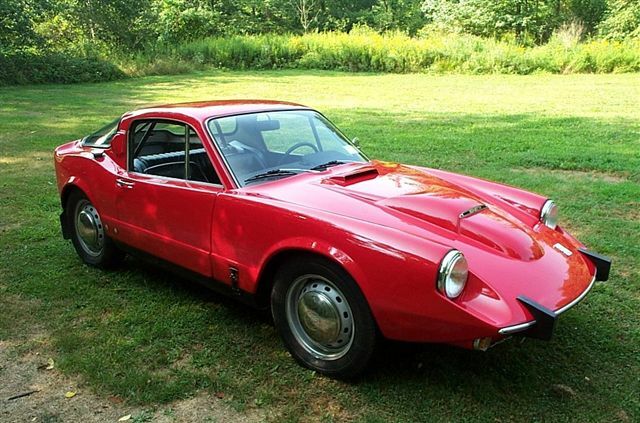 Don is also working on getting his 1967 Sonett II (#212) back on the road! George Albaugh from Maryland sent in this shot taken in Anne Arundel County, near Annapolis. Who knew that our preferred marque was active in community politics? 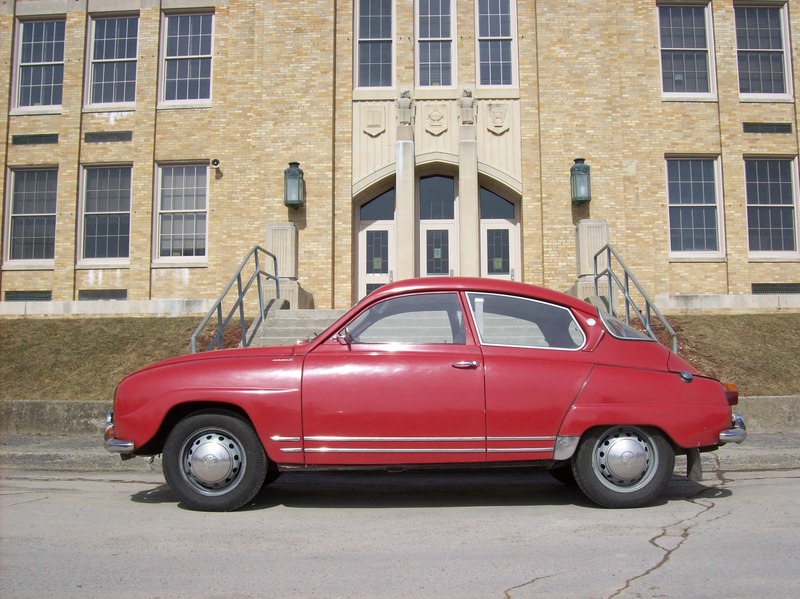 Please help keep VSAAB alive and well! Click the icon to use PayPal for your donation... and THANK YOU! ©VSAAB, 2002-2008 All rights reserved. 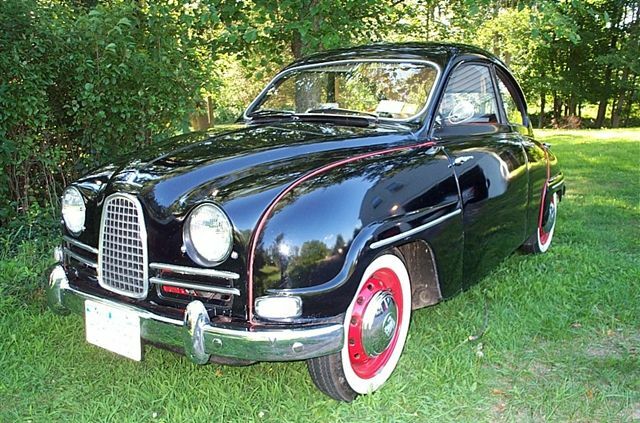 VSAAB is not affiliated with SAAB Cars USA or SAAB Automobile.